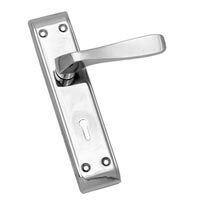 We are a distinguish Manufacturer of Metal Mortise Handles that are known for their endurance and finishing. 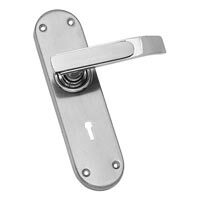 We have a comprehensive range of Metal Mortise Handles that are made up of Brass, Stainless Steel, Zinc Steel and Iron Mortise Handle. These Handles are innovatively designed and made by advanced machines while keeping international standards in the mind. 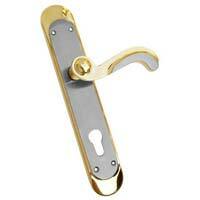 We provide Metal Mortise Handles in different sizes and shapes to suit the varied preference of customers. We are a prominent Zinc Steel Mortise Handle Manufacturer and Supplier in India, offering a varied range. 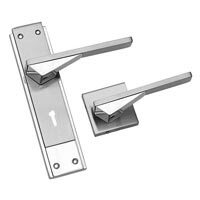 Designed to showcase the artistic expertise of our team, these Zinc Steel Mortise Handle feature a sophisticated look that suits any residential or commercial decor.